I’ve heard about Pechanga Resort and Casino in Temecula so many times on the radio, Pandora, and tv that I was starting to think I knew the place firsthand. I’m proof that advertising works because I had to look it up for myself. 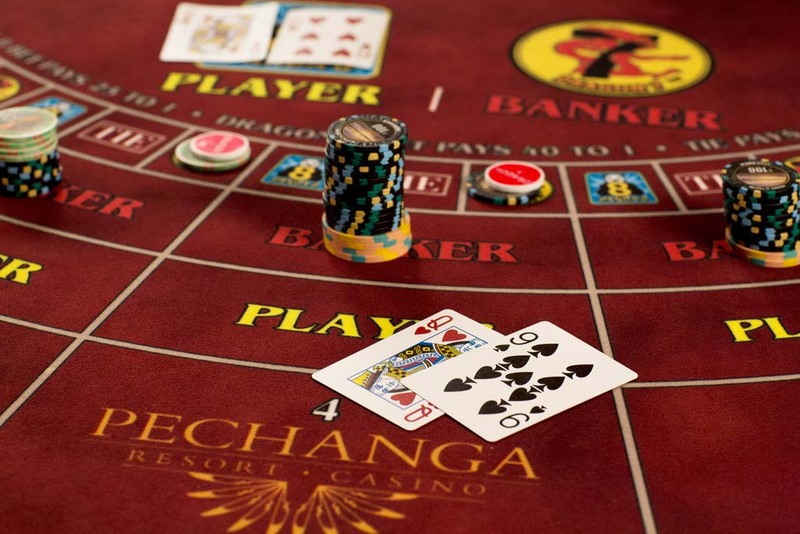 It has so much to offer that it’s like visiting a mini country so after spending hours on their website, I started to plan a Pechanga Resort and Casino bucket list. 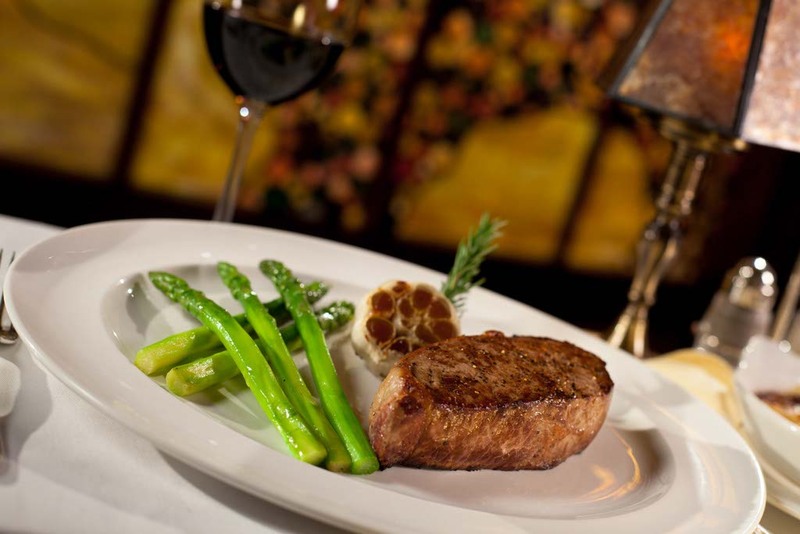 From fine dining to on-the-go fare, Pechanga offers a wide variety of dining options. Entertainment is never lacking either. 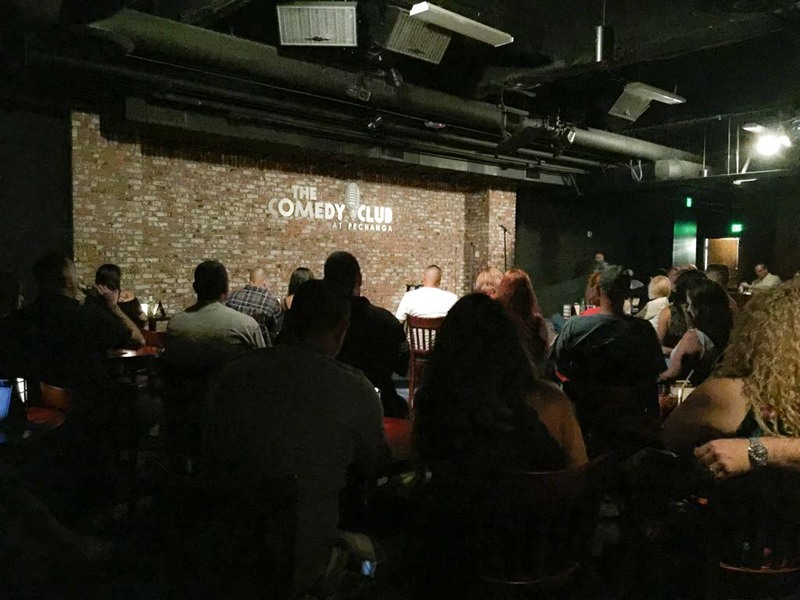 With Eagle’s Nest, The Cabaret Club, Flashback in the Cellar, Pechanga Theater, and The Comedy Club, even if you don’t like gambling or people watching at the casino there are tons of options to keep guests entertained. 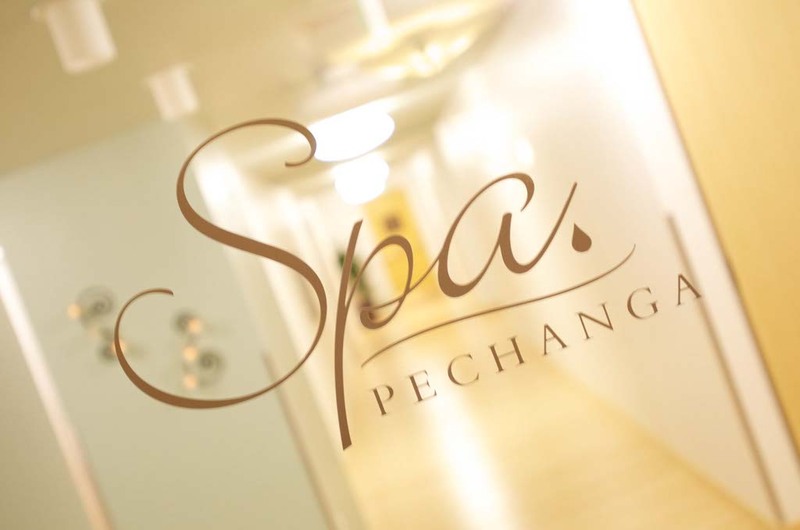 Whatever your passion, you can indulge it at Pechanga Resort from the spa, to world-class links golf, shopping, and local adventures. As for accommodations, they offer the height of comfort with a full array of exceptional amenities. 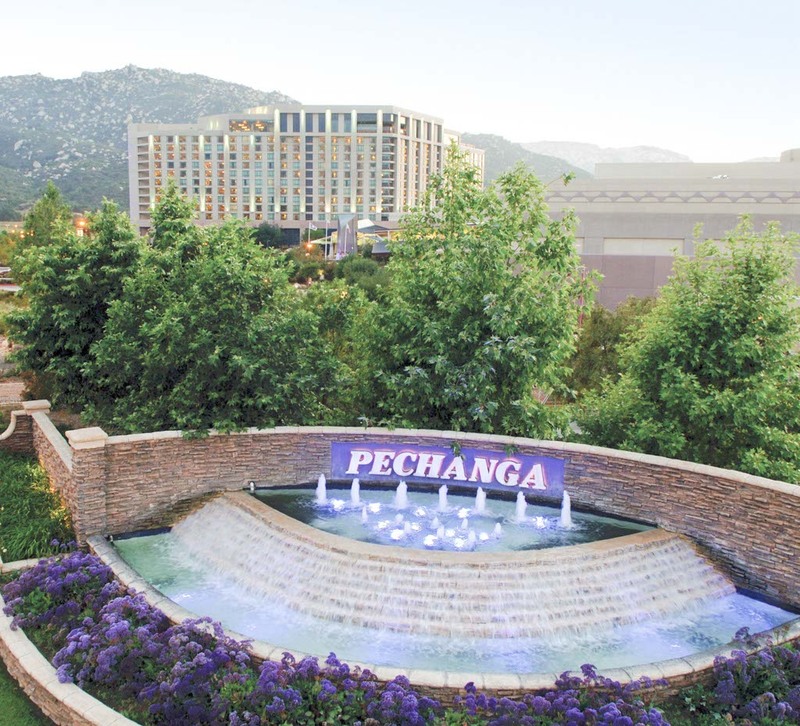 Pechanga Resort and Casino is a bucket list weekend waiting to be explored. 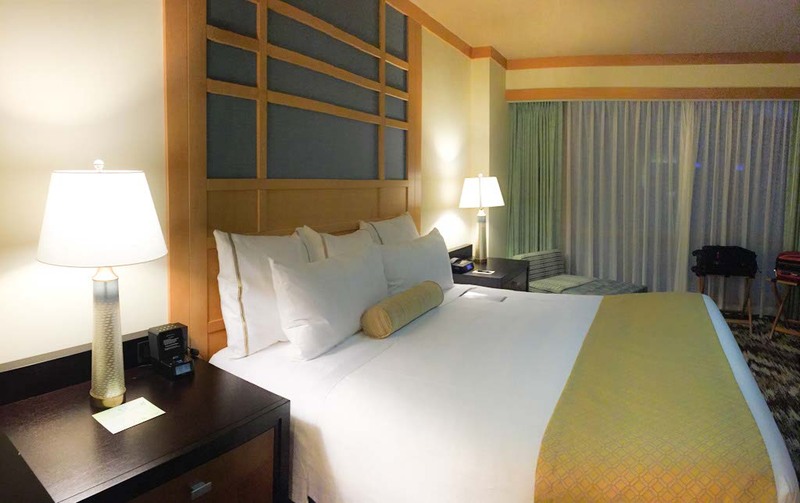 I spent a weekend discovering the best of the best at Pechanga Resort so you can maximize your time and play on another level at Pechanga. I arrived on Friday evening after braving rush hour traffic. Pulling up to the resort and receiving complimentary, valet parking was a welcomed treat. The doors were opened to my new world for the weekend. Staff doated on me like I was a rock star and I was shown to my room by the bellhop. As he went to get ice for cooler, I marveled at size of the suite. It’s bigger than my apartment. I could easily see making myself at home. The floor-to-ceiling windows in both the bedroom and the living room offered stunning mountain views and every amenity was at my finger tips like 100% Egyptian cotton towels, soaker tub, complementary WiFi, 24-hour room service, televisions in every room, and a fully-stocked mini bar. I wouldn’t need to leave the room if I didn’t have the burning desire to explore the rest of the property. I arrived rather late and Kelsey’s was calling my name. Once solely a sports bar, the new Kelsey’s has re-opened as an upscale American pub serving high-quality barbecue. I ordered drinks and a few starters and relaxed. It’s how every work week should end – drinks, good food, and a casual, relaxed atmosphere. There are seven dining options at Pechnaga but Kelsey’s is a Friday night type of experience. Allowing myself a capped amount of money was the best way to enjoy Pechanga Casino without breaking the bank. After about an hour of Black Jack, I returned to my room minus a few dollars. It was just as much fun to walk around the casino watching the interesting people and hearing the sounds of excitement. Regular gambling isn’t my thing but I could spend hours people watching. I had a full day planned for Saturday so I hit the comfy bed early and called it a night. On Saturday morning, I ate a delicious breakfast at Journey’s End. 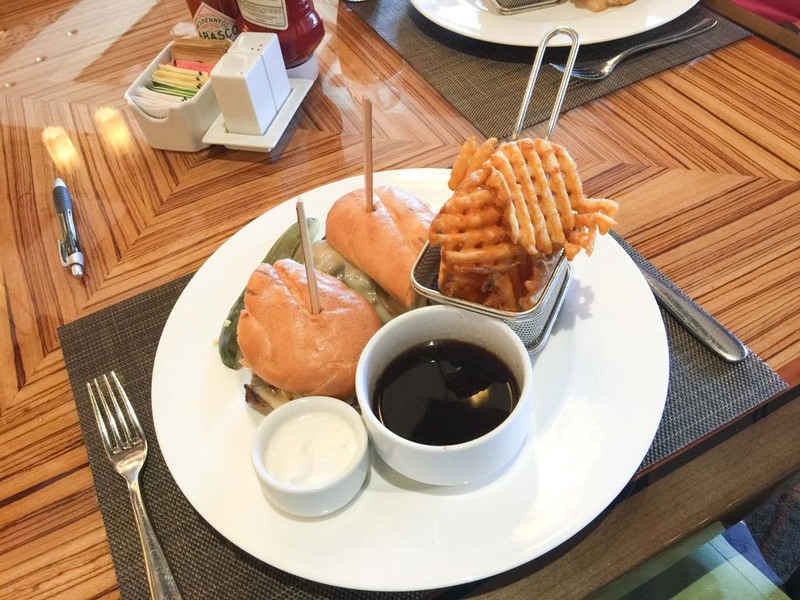 There were breathtaking views of Pechanga’s golf course and the surrounding Temecula Valley, but what was most note-worthy was the exceptional service. My waitress was friendly, observant, and knew the perfect balance of conversation and time to enjoy the food. While Kelsey’s offered my favorite food choices, Journey’s End had the best service. I had a 2 o’clock appointment scheduled at the Spa. 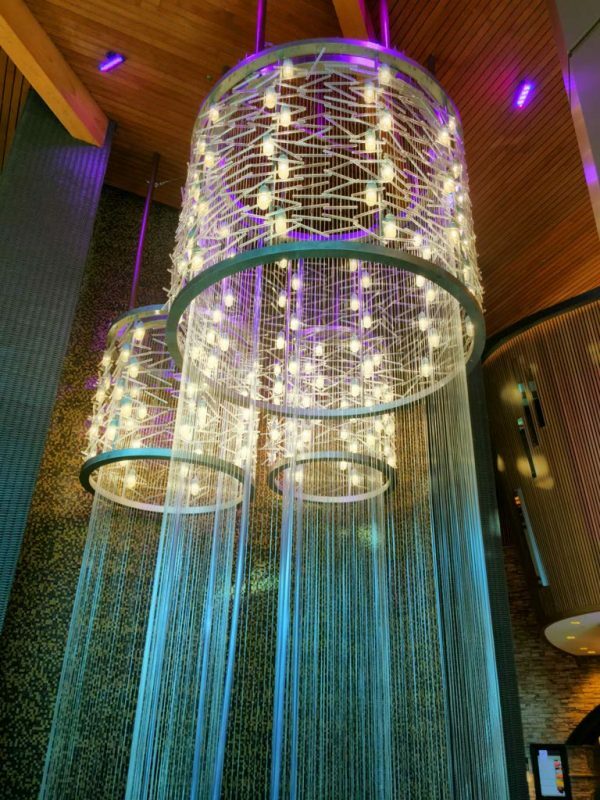 It was a intimate escape from the stimulating sounds, sights, smells, and excitement at Pechanga. I arrived 20 minutes early to utilize the facilities before receiving a Signature Massage. The robe was heavenly and the treatment room was peaceful. There are many factors that go into a good message like the temperature in the room, the level of the music, the comfort, and, obviously, the masseuse. It was the ultimate way to unwind and let go of any stress. 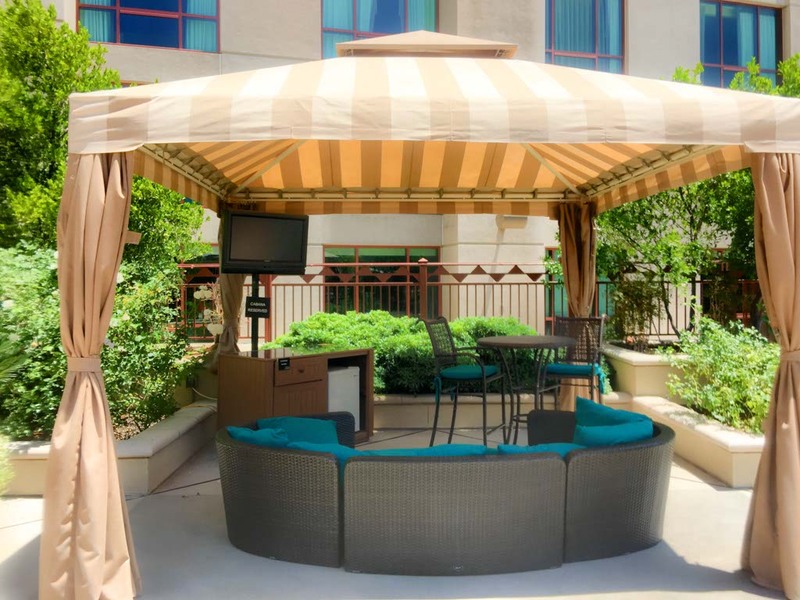 I left feeling rejuvenated and ready for some vitamin D.
The current pool at Pechanga Resort isn’t massive, but there are plenty of private cabanas, a poolside bar for drinks, an attendant on-hand at all times, and poolside towels. Bathrooms and hot showers are also onsite. 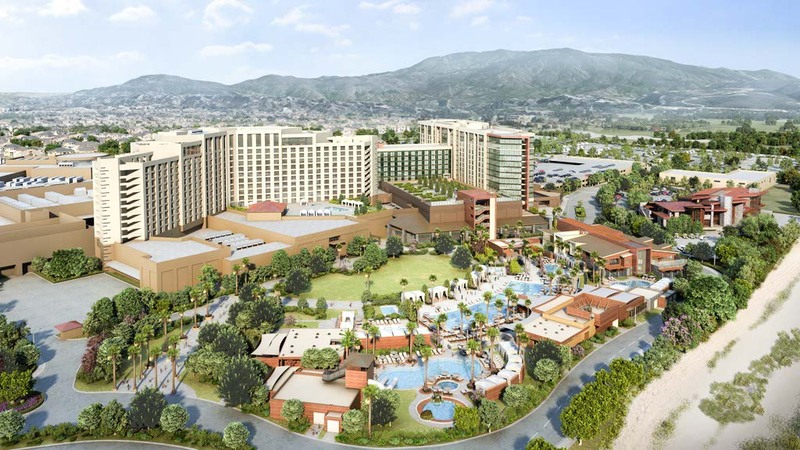 The resort is currently undergoing a $285 million expansion that will include a new luxury four-diamond hotel wing, a luxury spa, a new ballroom and meeting space, a resort-style pool complex, and two restaurants. Above, you can see a rendering of what it will look like when it’s complete in 2017. I thought the Pechanga Resort bucket list wouldn’t be complete without dining at The Great Oak Steakhouse. It’s a AAA Four Diamond-awarded restaurant with 100-percent-Prime Black Angus beef, seafood, and many other creatively-inspired salads and side dishes. While I loved the ambiance and my appetizers and sides at The Great Oak Steakhouse, my steak was surprisingly slightly overcooked for a medium-rare. Considering it was an award-winning steakhouse, I was a little disappointed. I’d take the food at Kelsey’s and the service at Journey’s End before returning to The Great Oak Steakhouse. Following my dinner, I went to The Comedy Club for an evening of entertainment. Three talented comedians had me creaking up during their set and while I didn’t try the other entertainment options at Pechanga, I was pleased with my choice. I love comedy clubs and Pechanga had a great line-up. With a 4 am rise for a hot air balloon flight over Temecula, I went to bed immediately after The Comedy Club. There are not many reasons for me to wake up before roosters but hot air balloon flights are worth setting the alarm. The valley and surrounding mountains created a picturesque flight and a dreamy adventure. Take note, though; it gets extremely hot in the basket during the summer months in Temecula. The temperatures rise with the sun. 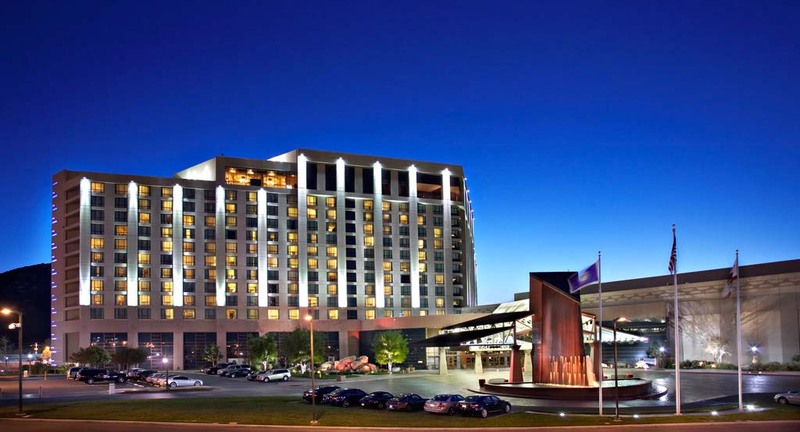 I discovered first class accommodations and amenities at Pechanga Resort and Casino. With complementary valet parking, complimentary Wifi, and no resort fees, I received all the perks of a luxury property without added expenses. Seven restaurants gave me a variety of dining choices and the stand-up performances kept me entertained. The only time I left the property was for the hot air balloon flight. 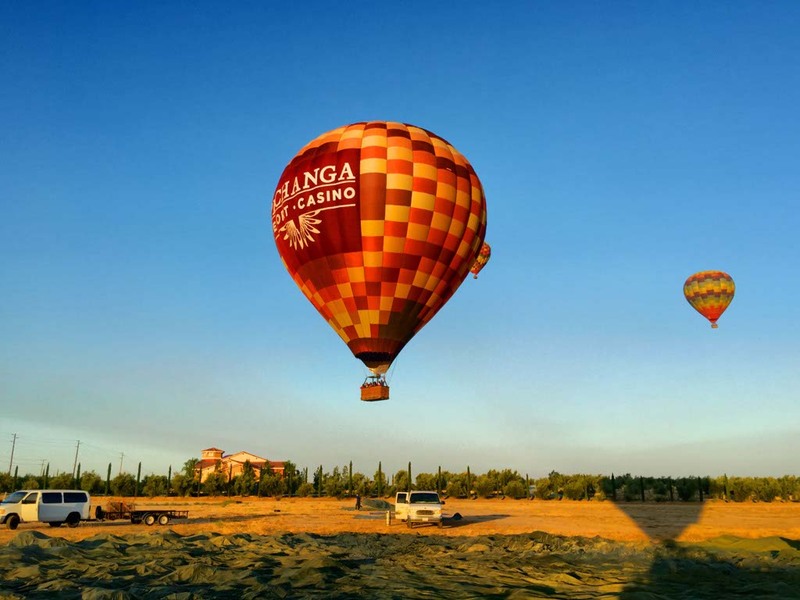 Pechanga offers a world of bucket list excitement without leaving Pechanga Pkwy.